In the words of fashion icon Louis XIV, “fashion is the mirror of history.” Whether it be an old family heirloom such as your mother’s wedding dress or simply a thrift store find, vintage clothing provides a unique look into the lives of the past. When you are storing vintage clothing, always take extra care to preserve the fabric and avoid damage. 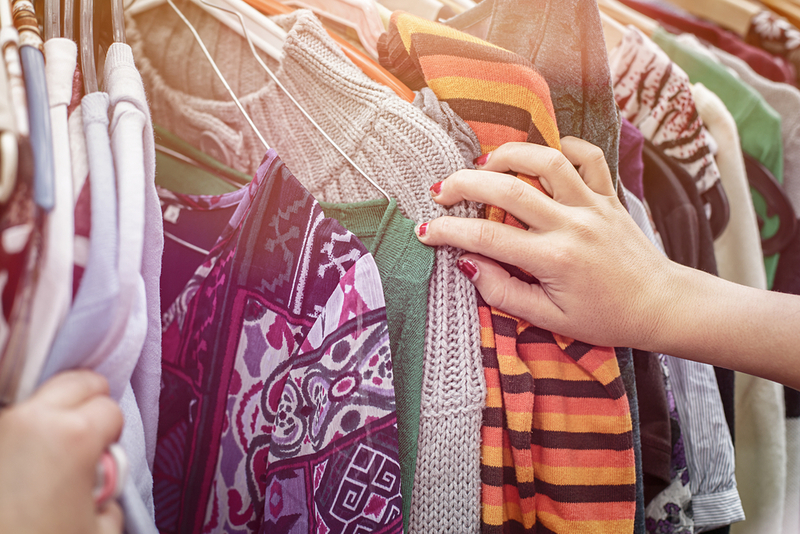 To prepare your vintage clothing for your storage unit, follow these tips from Affordable Family Storage in Omaha. Before storing any type of clothing, be sure to wash it. At Affordable Family Storage, we know that dirty clothes sitting in storage can attract moths which can permanently damage the fabric. Foul odors may also set into your clothes, which may be incredibly difficult to get out later. With vintage clothing, you may not be able to run it through a traditional washer machine, even on a delicate setting. Instead, you may have to wash it by hand or take it to a professional dry cleaner. While normal clothing can be tossed into a box without too much preparation, delicate, vintage garments should be wrapped for extra protection. Wrapping clothing is a fairly simplistic process. First, stuff the garment with acid-free tissue paper to prevent fiber breakdown and ensure it maintains its shape. Next, wrap the garment carefully in acid-free tissue paper so no part is exposed. It is incredibly important that you use acid-free materials at this step. Wrapping the garment in acidic materials can break down the fibers and ruin its quality. Never use a traditional cardboard box to store vintage clothing. Cardboard is acidic and can ruin the quality and color of delicate clothing. Instead, use an acid-free box such as an archival box. At Affordable Family Storage, we also recommend that our customers use a plastic, sealed bin. This will keep out moisture and ensure your clothing is protected in the event of a flood or another emergency. Like many delicate items, heat and humidity can permanently damage vintage clothing. To best protect your clothing, rent a climate-controlled storage unit. At Affordable Family Storage in Omaha, we keep our storage units at consistent temperatures throughout the year to ensure your possessions are safe. If you are looking for a storage unit in Omaha, look no further than Affordable Family Storage. With climate-controlled storage units and reasonable prices, we are the ideal storage facility to store vintage clothing, furniture, and other valuable items. Contact us to learn more.